Umbria’s landscape and urban planning can best be described by what in 1462, Pope Pius II Piccolomini said of Umbria: “You will never be able to reach a town without climbing”. Although nowadays in most cases one does not need to literally climb, it is indeed a fact that most ancient Umbrian towns are perched high up on hilltops, within massive protective “walls”. 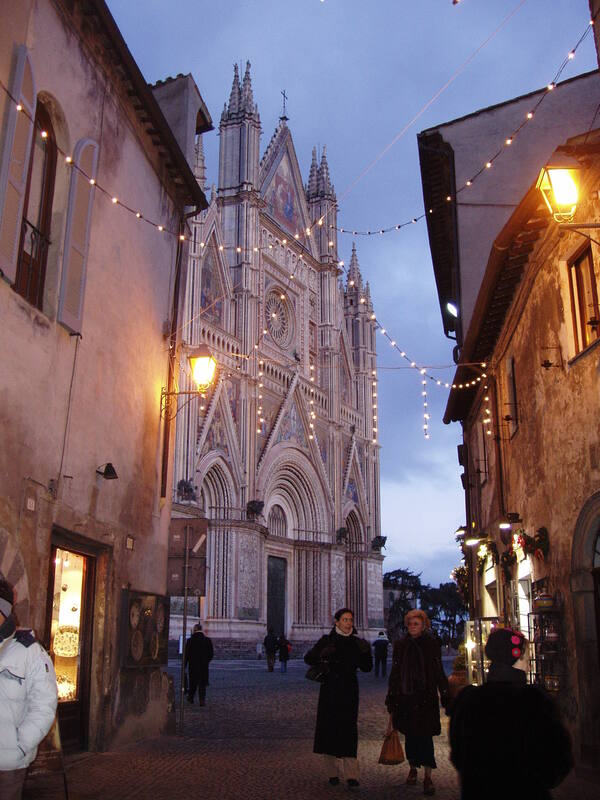 Orvieto, the lovely home of Umbria Jazz Winter 20 is no exception. A beautiful blend of jazz sounds juxtaposed with ancient buildings, piazzas, quaint, narrow, winding streets, perfect mix of local and international camaraderie, a bond created by the jazz whose sounds intermingle with great wine and food, will be the prevailing atmosphere over the next eight days. Culture, food, wine and of course great jazz are the key ingredients that make this the perfect way to spend a New Year holiday. To enhance our appreciation for the activities of the next several days, following our arrival in Orvieto and leisurely check in at our hotel in the heart of the historic town center, we will take part in a briefing about the local area and the festival. This will be our first opportunity to sample some of the local specialties in one of the many wonderful restaurants of Orvieto, designated by Slow Food as a “Slow City”. When in Umbria however, one cannot ignore the beauty nor the cultural and artistic richness of this region. Orvieto, our exquisite home, is perhaps one of the most perfect examples of this cultural bounty as it will be revealed during our walking tours through its quaint streets, as we visit the Duomo and the Museo Opera del Duomo, where priceless and breathtaking works of art are on display. Also along the way, we will visit the architectural marvel Pozzo di San Patrizio (c1527), the Pozzo della Cava, the Cappella di San Brizio and the Chiesa di San Francesco, to name a few. 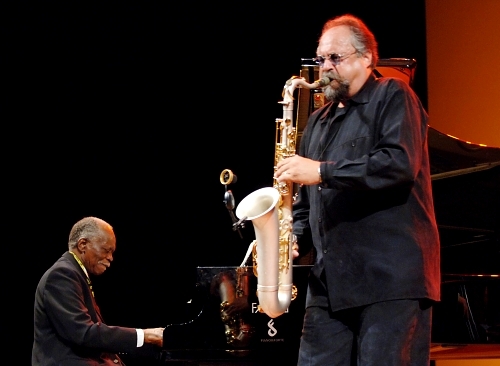 The Umbria Jazz festival is obviously the star attraction of this tour and indeed the various concerts will feature some of the most recognized “stars” of the jazz world. Our daily activities will be carefully planned so as not to interfere with the concerts. 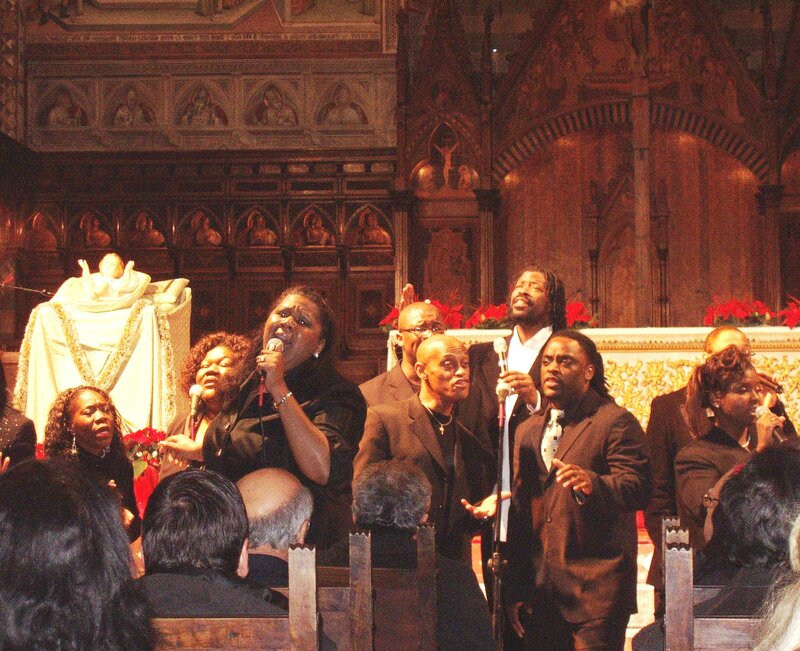 The final manifestation, which has become the culmination of the four days’ events and a venerable tradition, is the Gospel Choir at the Duomo on New Year’s Day. A touching and fitting end to amazing performances and a most appropriate way to encapsulate the magic and emotions felt throughout our stay in this extraordinary town and region. Anyone fortunate enough to participate in this tour will be privileged to experience these wonderful traditions first-hand. • Please note: The cost will be quoted in Euros. Payment to be made in USD$. The equivalent US$ amount will be based upon the stated exchange rate applicable at the time of payment, as will be stated on the billing statement issued to each client. • The remaining, non-refundable balance is due 60 days prior to start of services. • If residents/citizens of the US or Canada, purchase of travel insurance is highly recommended. We suggest choosing the “cancellation for any reason” option to be protected prior to departure in case of cancellation other than health related reasons. • Shop Wine and Dine reserves the right to make minor modifications/substitutions to the itinerary with activities/venues of similar value as those described on official itinerary description with activities/venues of similar value as those described on official itinerary description.